Every year, April 22 marks a day when people across North America come together in their communities to make a positive environmental impact. Whether it’s a group clean-up event (winter leaves behind so much litter), a series of workshops, or even face painting for the kids, the goal of Earth Day is there: to make effective change, to learn, to act, and to teach in unison. So, this Earth Day get out in the Greenbelt with your family and friends! The Devereaux House is elegant, Victorian, and retrofitted with green technology! Image from cleanairpartnership.wordpress.com. Green Leadership Tours. How can we make an impact? Learn from local business and buildings about how they're making the Town of Halton Hills greener. CVC’s Lindsey Jennings demonstrates the correct way to plant a tree. Photo by Shaima Al-Khalili. Image from creditvalleyca.ca. Tree Planting (No experience necessary!) 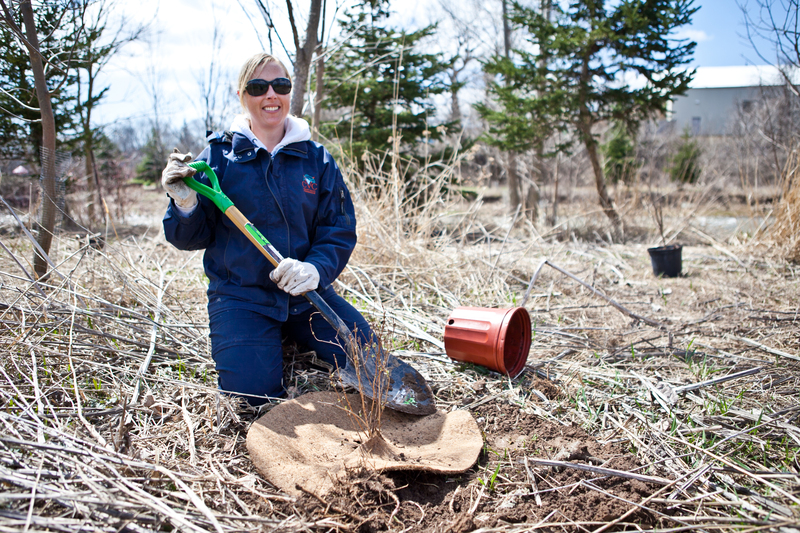 Whether you’re a nature novice or one with the shovel, you can lend a helping hand by planting trees this Earth Day in Orangeville. 3. Green Up with Clean Up! BurlingtonGreen volunteers with last year's haul. Image from burlingtongreen.org. Green Up with this Clean Up! Join BurlingtonGreen, the City of Burlington, and other local organizations in painting the town green—help clean up local parks and streams, or you could even join 100 others in restoring the delicate dune habitat of Beachway Park in Burlington. Off on the hike. Photo by Drake White. Image from earthdayhamilton.ca. Walk & Fun Run, a guided walk with many of region’s greatest environmental organizations in Hamilton. go GREEN with a family-filled day with a scavenger hunt, an eco-friendly fashion show, and more in Uxbridge.